This entry was posted in news and tagged JCW on May 18, 2012 by James Day. 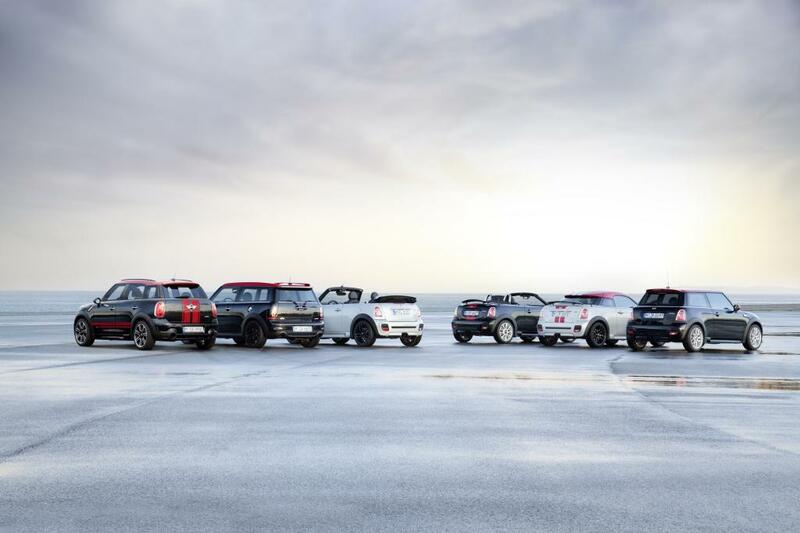 With the addition of the John Cooper Works Roadster and the announcement of the forthcoming John Cooper Works Countryman, the six-member JCW model line-up is complete. 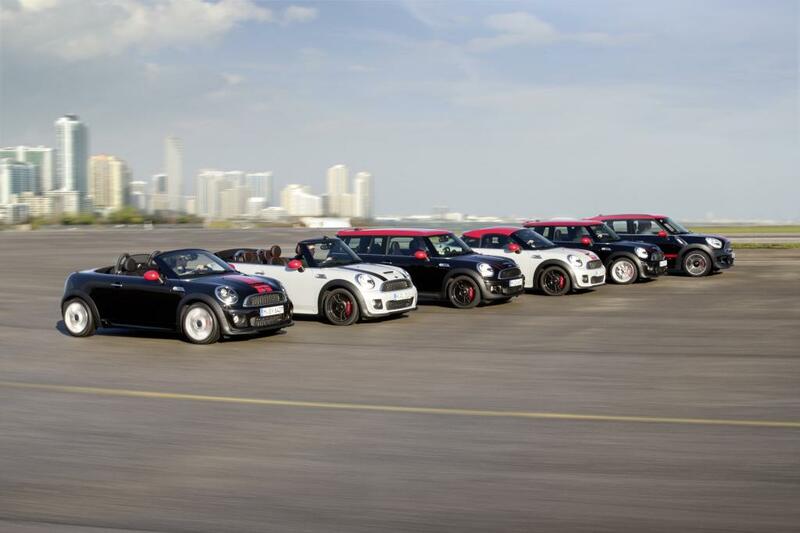 MINI announced changes to the JCW range in a new press release. Munich. 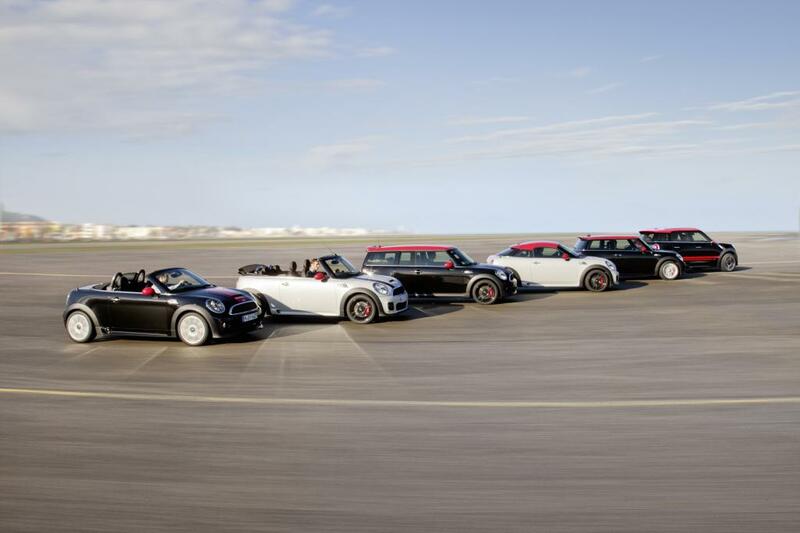 In keeping with the times, MINI will inject the ultra-sporty performance characteristics of its John Cooper Works models with even greater efficiency from July 2012 with the introduction of a new-generation engine and other far-reaching powertrain innovations. Fresh from an intensive course of further development, the twin-scroll turbo engine develops the same levels of output and torque as its predecessor, but will make drivers’ hearts beat faster with its even quicker responses and stoke their admiration with substantially reduced fuel consumption and emissions. 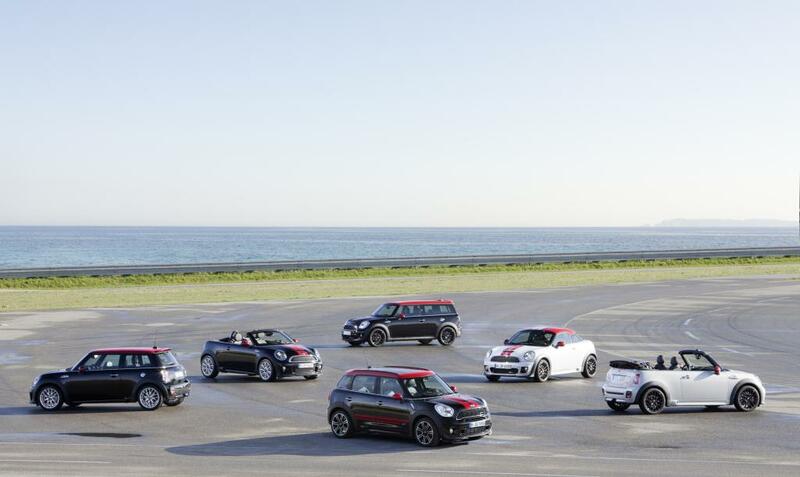 A much broader spread of MINIMALISM technology helps to enhance the efficiency of the John Cooper Works models, and all members of the sub-brand’s line-up can now be fitted as an option with a six-speed automatic gearbox. Added to which, the MINI John Cooper Works Countryman comes with the MINI ALL4 all-wheel-drive system as standard. New-generation engine for the John Cooper Works models offers instantaneous power delivery and a restrained appetite for fuel. An outstanding baseline concept and a constant flow of innovations provide the basis for sustained success in race competition and beyond. 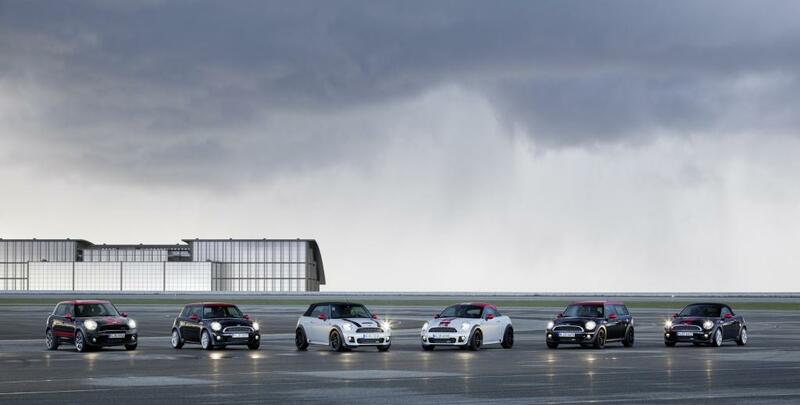 Indeed, a rigorously applied strategy of further development has also given the road-spec John Cooper Works models a decisive edge in their respective segments. Expertise refined over years of motor sport involvement has ensured ultra-sporty driving fun by perfecting the interplay of a powerful engine, advanced chassis technology, and bespoke exterior and interior design elements. 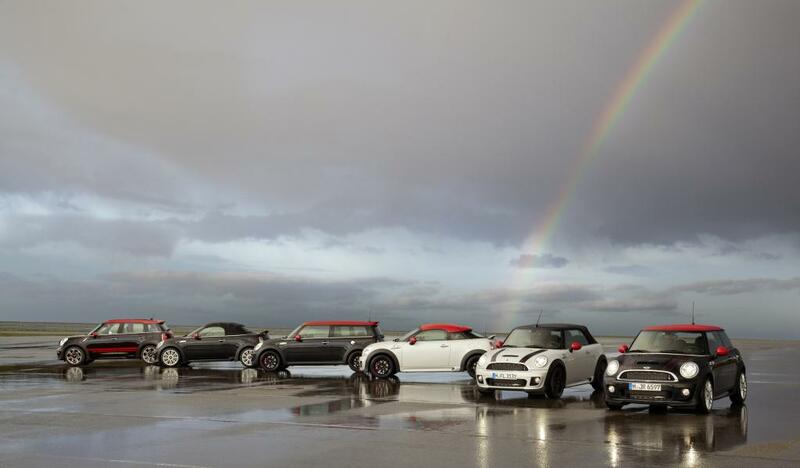 And so the John Cooper Works models are poised to embark on the new season stronger than ever and with fresh power under the bonnet. The family of elite athletes in the MINI ranks welcomes another new member in the shape of the MINI John Cooper Works Countryman. The five-door model is fitted with a particularly powerful variant of the new-generation engine. Its 160 kW/218 hp is channelled through an all-wheel-drive system to deliver a new take on outstanding performance that can be enjoyed not only on the road but also over rough terrain. Peak torque of 280 Newton metres (207 lb-ft) is available between 1,900 and 5,600 rpm, and the MINI John Cooper Works Countryman dashes from 0 to 100 km/h (62 mph) in just 7.0 seconds – regardless of whether the power flows through the standard six-speed manual gearbox or the optional six-speed automatic. Top speed is 225 km/h / 140 mph (automatic: 223 km/h / 139 mph). Equally impressive is average fuel consumption in the EU test cycle of 7.4 litres per 100 kilometres / 38.2 mpg (automatic: 7.9 l/100 km / 35.8 mpg) and CO2emissions of 172 grams (184 g) per kilometre. 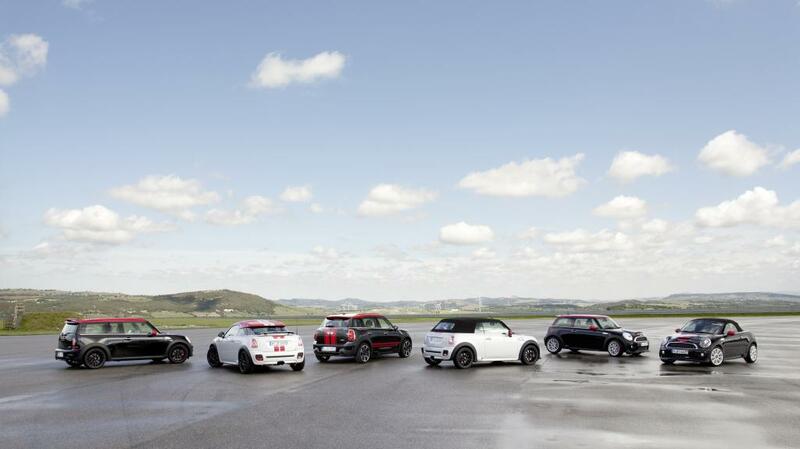 The new-generation engine can also be found in the MINI John Cooper Works, MINI John Cooper Works Clubman, MINI John Cooper Works Convertible, MINI John Cooper Works Coupe and MINI John Cooper Works Roadster. The further developed powerplant is based on the unit in the MINI Cooper S and likewise uses a twin-scroll turbocharger, petrol direct injection and variable valve control based on the BMW Group’s VALVETRONIC system. This throttle-free load control technology optimises both the responsiveness of the engine and its efficiency; lightning-fast reactions to the driver’s requests for power go hand-in-hand with a restrained appetite for fuel. The technical make-up of the 1.6-litre four-cylinder engine – which sports a John Cooper Works logo on its cover – has a direct link to the development of race-trim engines and has been honed exclusively for the John Cooper Works models. Its cylinder block and bearing mounts are made from aluminium and join forces with reinforced pistons, a particularly high-strength cylinder head and low-weight crankshafts. The exhaust valves are sodium-filled to help provide the extra cooling required by a turbocharged engine, and the intake camshaft features infinite phase adjustment. 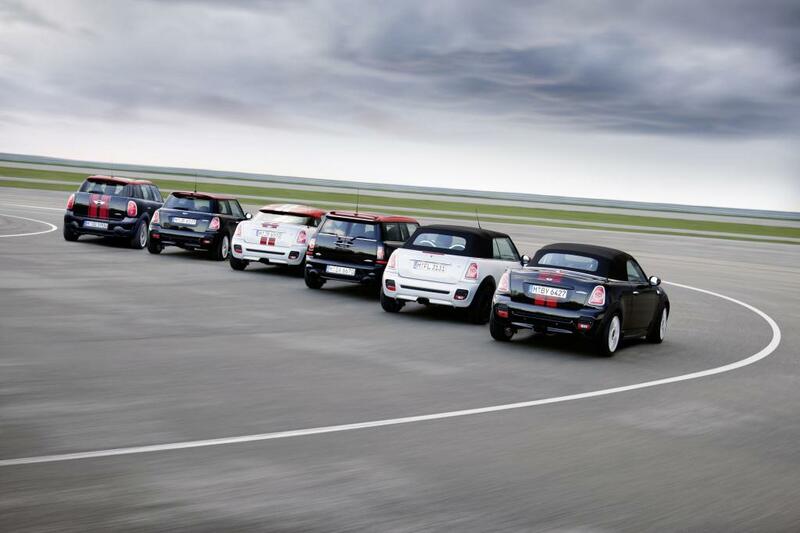 The turbocharger, meanwhile, develops even greater charge pressure than the engine in the MINI Cooper S Coupe. The likewise bespoke exhaust system can be identified from the outside by its polished stainless steel twin tailpipes. The engine produces its maximum output of 155 kW/211 hp at 6,000 rpm, while peak torque of 260 Newton metres (192 lb-ft) is on tap between 1,850 and 5,600 rpm. The overboost function allows this figure to be raised to 280 Newton metres (207 lb-ft) for a short time between 2,000 and 5,200 rpm. The new engine links up as standard with a six-speed manual gearbox tuned to suit its performance characteristics. However, the John Cooper Works models can now also be ordered as an option with a six-speed automatic gearbox with Steptronic function. The automatic also allows the driver to change gear manually using either the selector lever or the shift paddles on the steering wheel. The press release also gives European emissions figures and lists some standard features. Read the full press release Innovations designed to provide extreme driving fun and even greater efficiency. 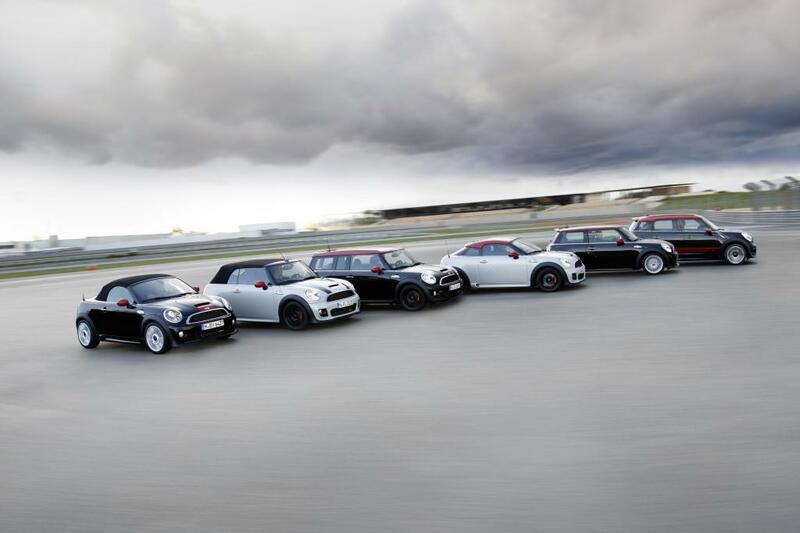 MINI presents the new John Cooper Works models.